Eliminating gambling debts can be a tiresome process, given the lack of support you will find from your close ones. However, if you are in serious trouble, it is time that you get your act straight and work out ways to clear your gambling obligations. First of all, it is important that you give yourself a break. Don’t think that gambling more will help you solve your current financial issues. Find ways to eradicate this bad habit. This can be done by taking professional help where you are taught to curb your gambling urge. It is important that you realize that it is gambling which has gotten you in this trouble at the first place and the only way to make the problem go is to stop it for good. 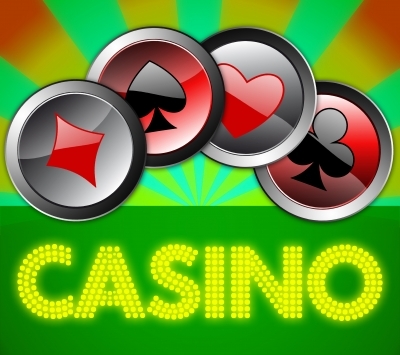 You can get started by talking to the casino agent where you arrange for a paying mechanism. Obviously, they will need some leverage and you can do that by paying an upfront fee, which you may have already done through your credit card. Now, all you have to do is agree on installments, where you offer monthly payments. Now get your income streams sorted out. First of all, it is important that you get rid of your credit cards. However, if that is not a viable option, then ask your spouse to manage all your accounts. This way you can find ways to increase your income resources and make monthly payments which you have arranged with the casino. Look for a job. If you already have one, then it may be possible to work extra hours. However, if that is not feasible then look for a second-part time job. Although it may seem tiring, the good thing is that you can stop working as soon as your debt is paid off. Take help from friends, family members or your spouse. You may have some assets at your disposal which you can trade for some cash. Look for a yard sale or try selling them via the internet. Moreover, you can ask your wealthy friends to pay out the casino debt and arrange a monthly payment mode which provides you extra leverage and time.